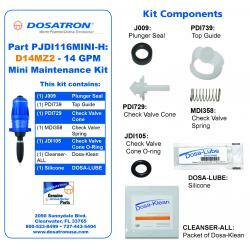 Simplify your nutrients by directly installing Dosatron Doser into the water supply line. 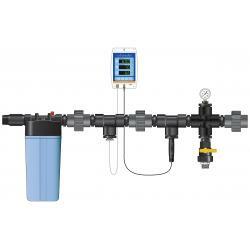 The Dosatron Doser operates by using water pressure as the power source (no electricty needed). 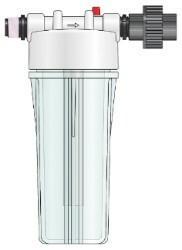 The water activates the Dosatron, which takes up the required percentage of concentrate. Inside the Dosatron, the concentrate is mixed with the water. The water pressure forces the solution downstream. 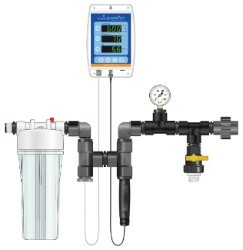 Operating pressure range is 4.3 to 85 PSI and water flow range is 0.05 to 40 GPM. 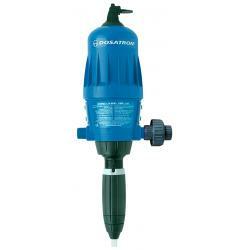 Injection capabilities of 1:500 to 1:50 (0.2 to 2%) [ 0.256 to 2.560 ounces per gallon]. 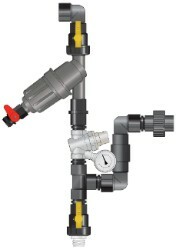 Includes mounting bracket, suction hose, bypass, union, weighted strainer, and quick start guide. This part is special order only.